Clients want “a pretty site”. Make it look pretty they say. Clients spend hours looking for websites that already exist and want to copy their design. I understand why companies do this. People want pretty things and they don’t want to get through the painstaking process of defining goals, user interactions, and content before they start designing. But, that process ultimately creates value. There are pretty sites that fail (don’t drive conversions). There are ugly sites that win (they drive engagement and conversions). Beauty is subjective, and what may look pretty may not be the most effective in helping people take key actions. Craigslist may be one of the ugliest sites on the internet, and its appearance has been mostly unchanged since it was created. But, Craigslist is consistently ranked in the top 100 sites in terms of traffic. Now, I am sure a graphic designer could make Craigslist “pretty”. But, the real question is, why do it? 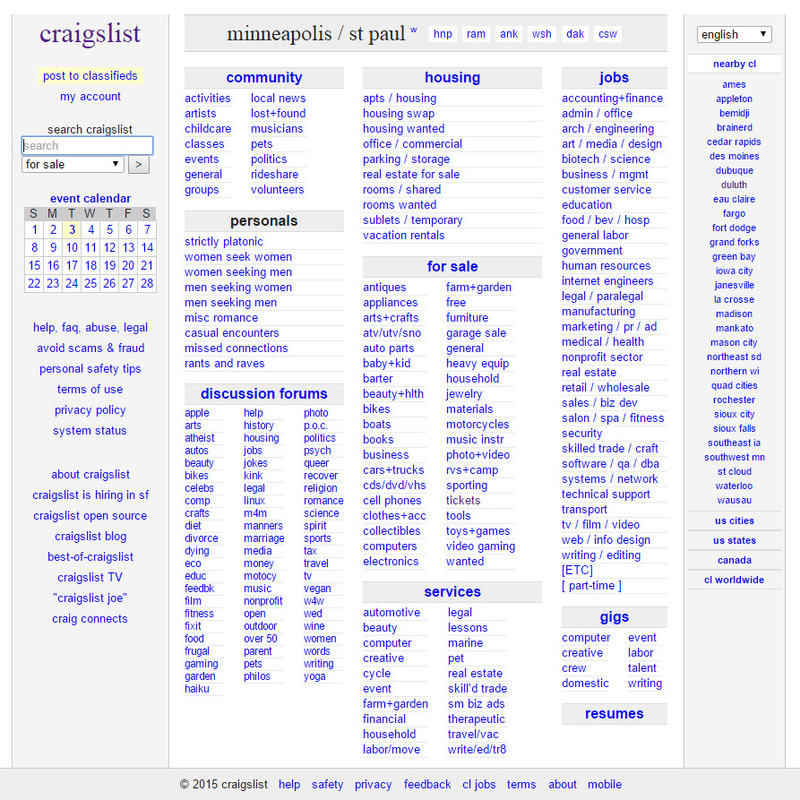 Craigslist has remained minimalist and action focused (filter & sort by location and category) since it’s inception. And, it’s worked very well for solving the problems of connecting buyers and sellers. Don’t let your graphic designer try to win an award at your business’s expense. Let’s take a look at Amazon. 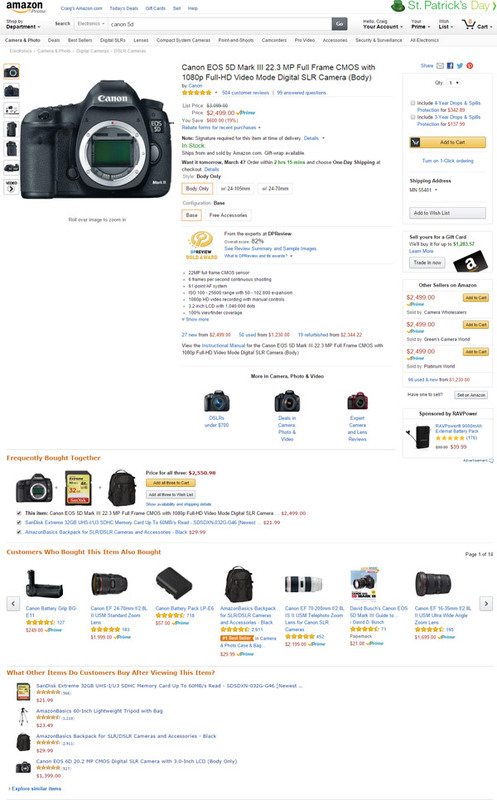 Anyone with an eyeball would notice how cluttered Amazon’s pages are. But it works. Amazon is projected to have revenues of over $100 Billion in 2015. Before you get started building your interface, it’s critical to define your website’s objectives, the audiences you will be serving with the website, and what actions you want those audiences to take. Let that be the driving force of your interface and content. Then, monitor and test your user behavior. If you do it well, and you promote the site effectively, your website will become an engine for your business instead of a pretty painting you tell your friends and family about.